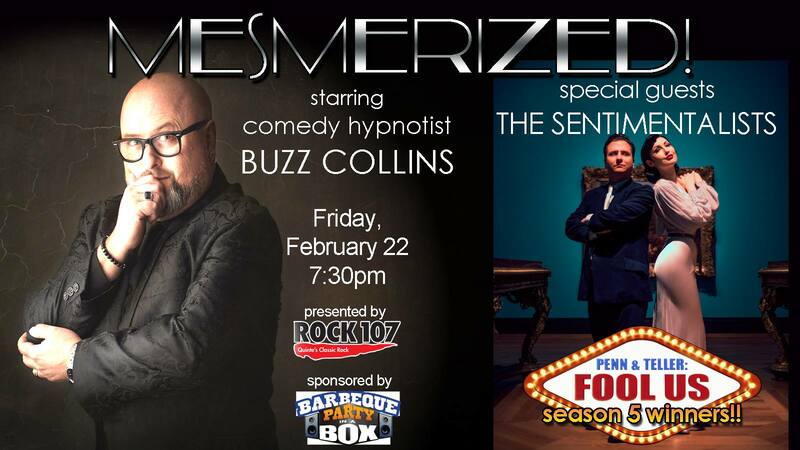 I have had so many people asking when I’d be doing a public hypnosis show locally (ie. Quinte). Most of my dates take me elsewhere through out Canada and the U.S., but this one’s for the hometown crowd!! When Mysterion Mindreader approached me about doing something together, I thought, “Um, yes, definitely! !” Mysterion and his performing partner Steffi Kay, aka “The Sentimentalists” were recently successful at fooling Penn & Teller on their most recent season of “P&T Fool Us”!! Our biggest challenge was finding a day when our schedules could jibe with one another. Well, that day is Friday, Feb. 22 at the Empire Theatre in Belleville, ON. It’s worth mentioning that even though this is an all ages event, this is NOT a kid’s show, and discretion is advised!